Can be used in both Interiors and Exterior surfaces, cost effective, it provides smooth surfaces. 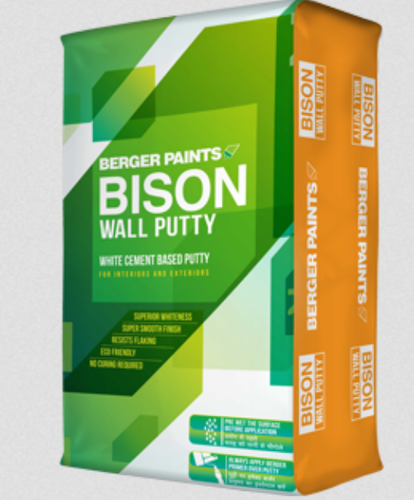 Bison Wall Putty is powder based, a unique mixture of super fine cement blended with flexible powder polymer, cellulose, pigments and many other additives. It is used in both exterior and interior walls to give smooth, undulation free surface.